This vintage-inspired yellow gold ring features a rose-cut yellow sapphire in a bezel surrounded by diamonds. 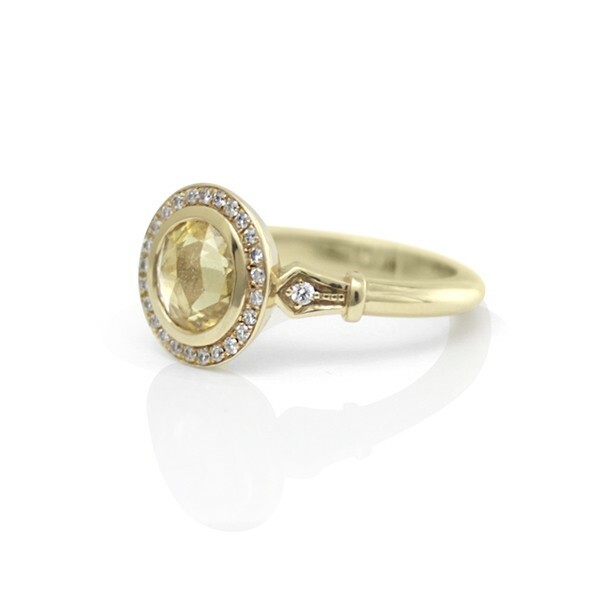 This ring is one of Shelley's "Studio1098 Staff Picks". 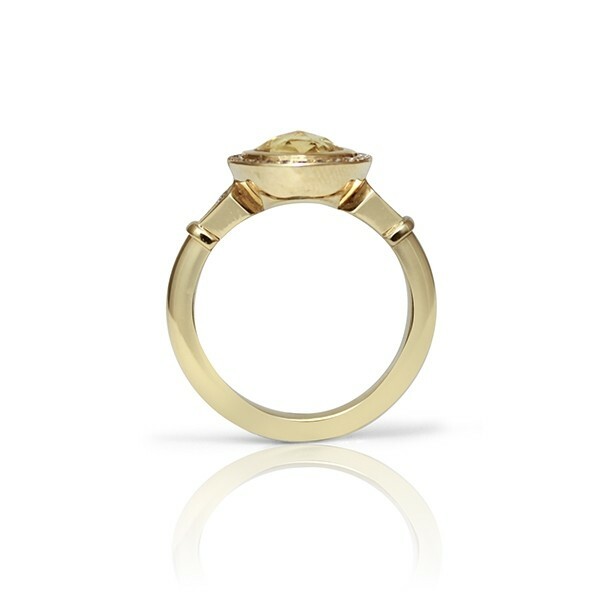 Shelley says: "There is something inherently romantic about this ring. 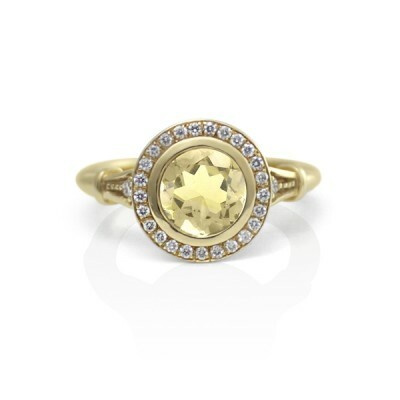 With the pale yellow rose-cut sapphire, petite diamond halo, and stylized kite shaped accents on the shank, it looks like it could have been passed down through the ages, collecting love stories along the way."